Starbucks Card Mobile [iTunes link] lets users add their Starbucks Cards, track rewards and reload cards as needed via PayPal or credit card. To pay with their phone, app users simply select “touch to pay” and hold up the barcode on their mobile device screen to the 2-D scanner at the register. Starbucks is using its own custom-built technology to enable the 2-D mobile barcode scans. The coffee retailer opted for barcode scanning over near field communication technology — which Google ( ) is exploring — because of its limited availability. The coffee retailer was reluctant to wait for a NFC ecosystem to develop when its customers have expressed interest in mobile payments now, according to Chuck Davidson, the category manager of innovation on the Starbucks Card team. “Once there are more users, we will adapt,” he says. In testing, Starbucks assessed the mobile payment option by measuring application speed, transaction speed and total customer wait time, says Brady Brewer, vice president of Starbucks Card and brand loyalty. 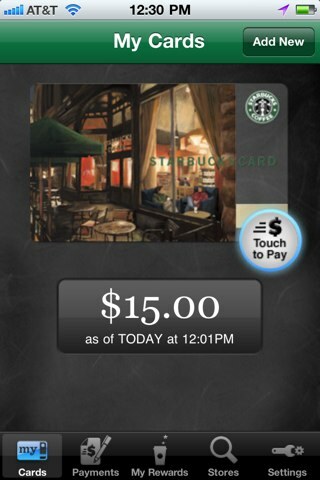 In all instances, Starbucks Card Mobile was the fastest way for customers to pay. Starbucks is investing in mobile payments, an investment Davidson describes as modest in relation to expectations, because customers have requested the option and have shown a propensity to not only pay with Starbucks Cards — one in five transactions are made using a Starbucks Card — but frequently use their smartphones while waiting in line. The company also believes that its customers carry their mobile phones more often than a wallet or purse, and sees Starbucks Card Mobile and the mobile payment program as an opportunity to reach these consumers and build stronger relationships. 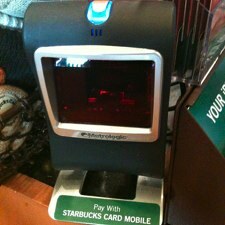 Starbucks seems confident that its customers will appreciate the new, faster way to pay. Both Davidson and Brewer believe that adoption will spread as customers tell their friends about the new mobile payment option.